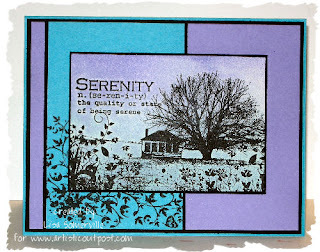 Artistic Oupost has some new sheets in the store - here's a few cards I made using the Serentiy and Geek is Chic sheets. 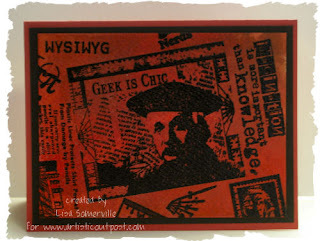 All new plates - My Knight, Serenity, Geek is Chic, and Mini Masterpiece are 10% off. Prices are good through January 1st, note they will not ship until January 2nd. Lisa, I love the serenity. That is a gorgeous image! Beautiful cards! Girl ! Those are gorgeous !!!!!! 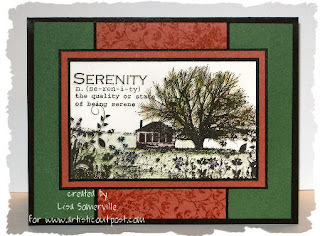 I love how you collaged your stamps.